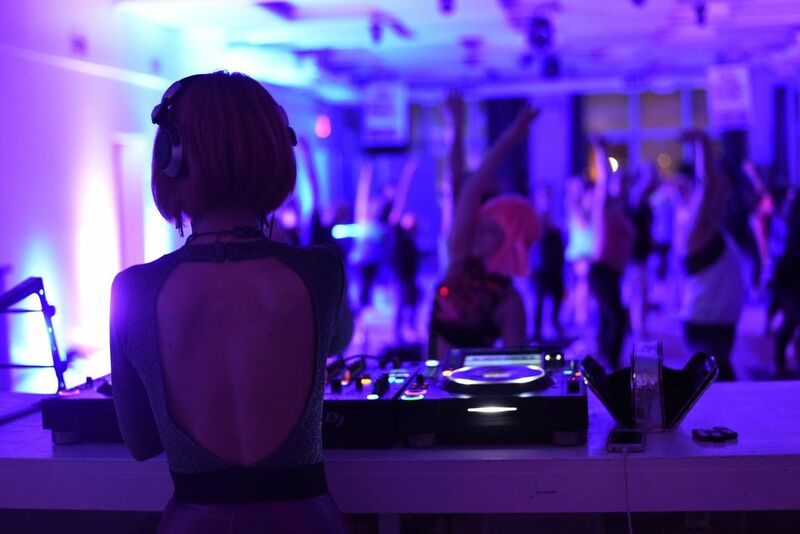 Sputnik Disco Yoga X Samsung X Wellness Happy hour! 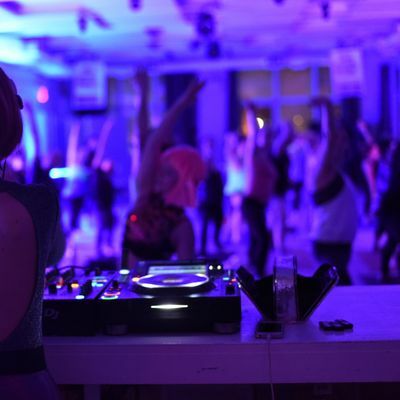 Join us for disco yoga and party! MARCH 28th HAS been moved to March 21st. We will begin hosting monthly wellness happy hour at Bogart House. If you haven't been, this location has some amazing views of the city and a great way to end your week! Join us for a fabulous one hour class with some lovely disco tunes and open level yoga class that will leave you buzzing! If you are not 21 you can still attend just can't consume alcohol. Don't worry we will have plenty of non alcoholic options for ya! We will also have some great local vendors to showcase their goods! All spots must be reserved ahead of time, limited tickets will be avail at the door. 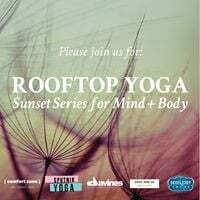 The class will be held on the indoor portion of the roof of Bogart house that has phenomenal views and is located short walk from the Grand stop of L train in East Williamsburg. Samsung is a leading technology company with a commitment to creating a better world full of richer digital experiences through innovative products. At the next Sputnik Yoga event, Samsung XPS will demonstrate features on a newly released Samsung phone at the photo booth station. At the photo booth station, guests will have the opportunity to capture memories on a Samsung device, which will then be emailed to each guest personally. XPS will also provide a station to demonstrate the Gear Sport Watch. The Gear Sport makes tracking calories, measuring your heart rate, tracking your workout, and even reading & responding to texts on the go a breeze. We will have some fabulous disco tunes and flows with Funktion-one Sound! Stick around for cocktails from Deep Eddy Vodka! More about Amber our DJ: Amber Valentine has been playing all over New York City and beyond since 2006. She is a regular at some of the best clubs in the city, including Output, Elsewhere, Good Room, House of Yes, and Le Bain, and has played internationally in Milan and at the legendary Life Ball in Vienna. She is a resident DJ for nightlife queen Susanne Bartsch. Alongside JD Samson, she throws a party called "Pat" that draws world class DJ talent and a crowd so fun they don't stop dancing til the lights come on. This year, Amber was awarded "Best DJ” at the 2018 Brooklyn Nightlife Awards.Ms Valentine also plays private parties & corporate events. Some recent clients include Mulberry, Cadillac, MoMA PS1, Beautycon NY, Tisch School of the Arts NYU, Frederique Constant, Part2 Pictures, Livestream, Ace Hotel, Fort Lauderdale Museum of Art, Boston Museum of Fine Art, Pinkie Swear Cosmetics, Popsugar, The Museum at FIT. The goal is to offer yoga 4 everyBODY! We are a nomad yoga studio and offer pop up yoga events in LA and NYC. We also work closely with like-minded brands and provide yoga activations for music festivals. We also offer private fitness classes, Happy Healthy Hours, corporate events and nutritional consulting.